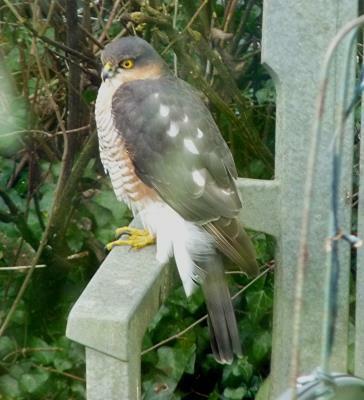 Seen today in garden. I live over Yorkshire moors and have lots of bushes & small trees in garden. 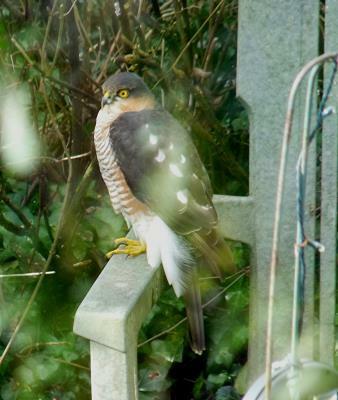 160 A young adult male Sparrowhawk. Slate grey back, reddish frontal feathers. Yellow legs and eyes. The female is a lot more brown.